Pregnancy and parenting is an amazing journey. We’ve been where you are and know the importance of having trusted expert advice, which is why we have some of the best experts and clever mums share their wisdom to empower you on your parenting journey! OHbaby! 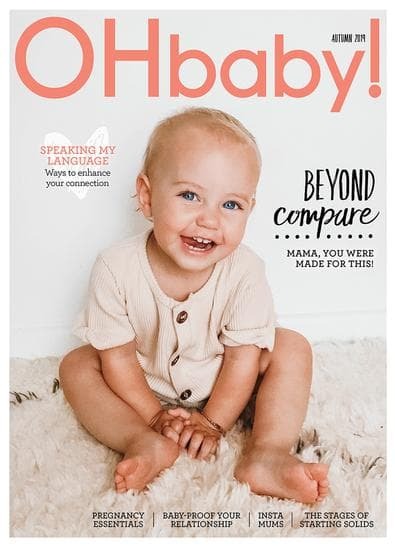 Is New Zealand’s leading parenting magazine, from pregnancy to parenting - Be encouraged that you’re not alone and you’ve got this! Be inspired by our fashion, shopping, interiors, parties and crafts. Be empowered to make the right choices for you and your growing family. Be informed with expert advice and wisdom from other parents who’ve been there before. The best in the market...Somehow feel nurtured reading this and empowered...couldn&apos;t recommend it more highly...it&apos;s helped me so much! Invaluable for first time mums. Great advice, as well as making you realise you&apos;re not the only one! !